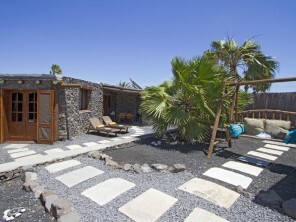 Fantastic deal for stunningVilla very close to sandy beach. 15% reduction for any April / May 2019 stays minimum 7 nights. 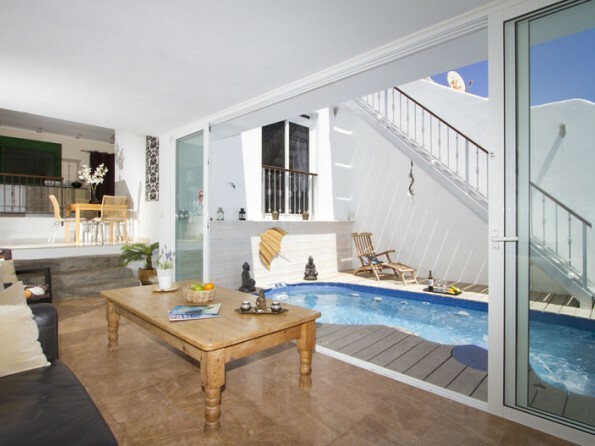 Private plunge pool, roof terrace and fully equipped villa. 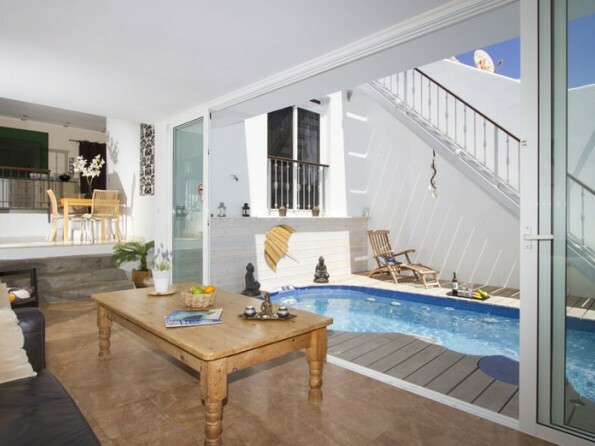 Tucked away in a quiet residential area yet less than a minute from the beach, The Beach House is a stylish and contemporary adults only (18+) private villa where you can relax on the roof terrace, dip into the plunge pool and enjoy peaceful surroundings and sea views. Private and tranquil yet not isolated, The Beach House strikes the perfect balance for holidaymakers who want to unwind in quiet surroundings without being completely cut off. 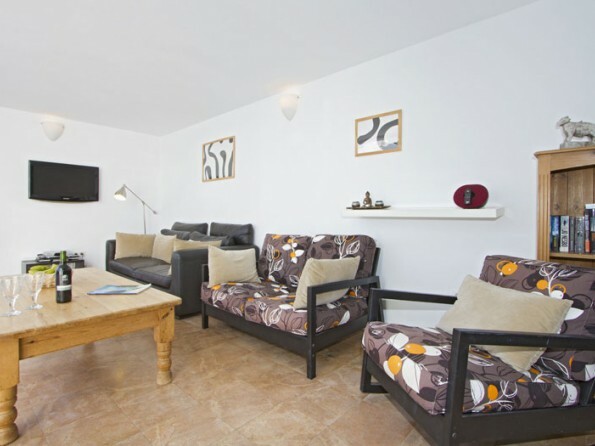 Set back from the road in a residential area, it is enjoyably calm within the grounds so you can relax without interruption if you so choose. And yet the beach is moments from your door and all the amenities you might need are within walking distance. 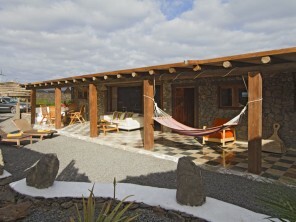 The villa is located in Las Cucharas, the main beach in Costa Teguise. 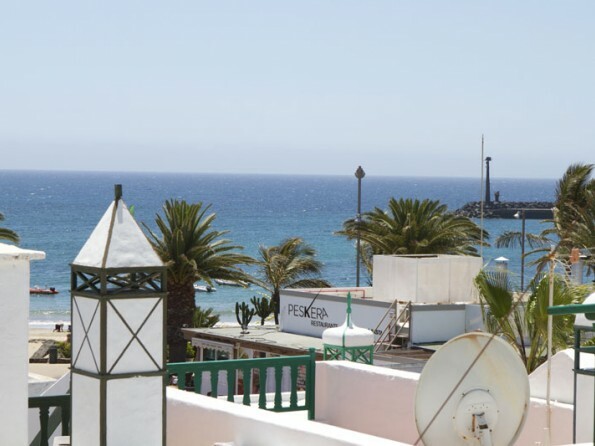 At the beach you can windsurf, dive, kayak or just sunbathe, and the main square within the resort, Pueblo Marinero, bustles with bars, restaurants, shops and entertainments. 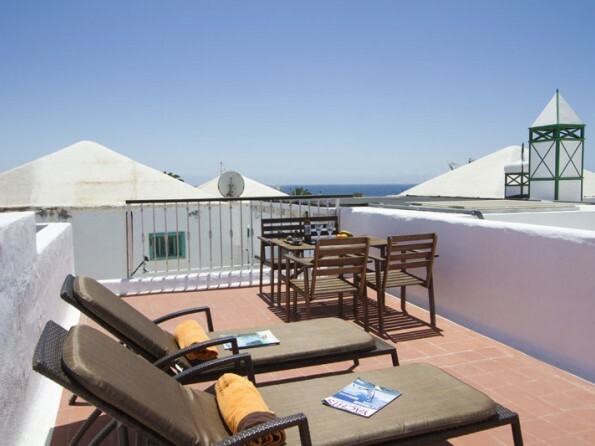 Supermarkets, pharmacies and bike hire shops are all within easy reach, as are a variety of seafront walkways and benches, and Costa Teguise is also home to the islands only water park and the main golf course. 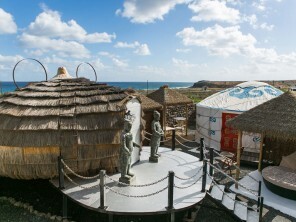 Further afield you can explore the vibrant capital of Arrecife and the incredible Sunday markets at Teguise, or you could take a day trip to the tiny but beautiful island of La Graciosa, the Timanfaya National Park, and the various Centres of Art, Culture and Tourism around the island. 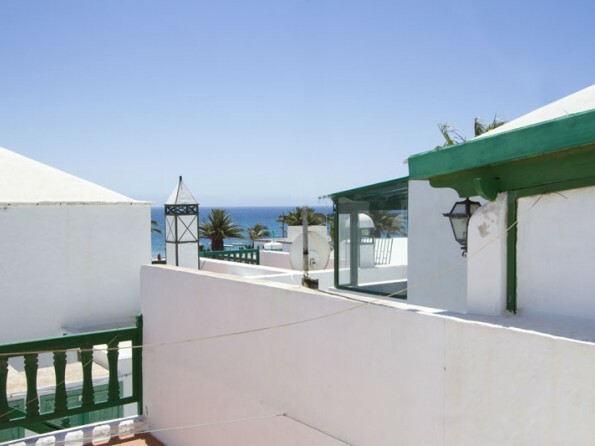 The nearest airport, Arrecife, is 20km away and there is a ferry terminal 15km away. 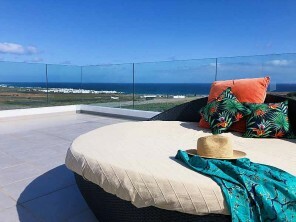 There is a bus stop a short walk from the house and the bus route includes Arrecife and then Puerto del Carmen, the islands busiest resort, which is 40 minutes away. A car is not essential but it is useful if you want to explore the rest of the island. Flights to Lanzarote are available with Monarch, Thomson, Thomas Cook, Easyjet, Jet2com and Ryanair. Airport transfers can be arranged - please enquire for details. 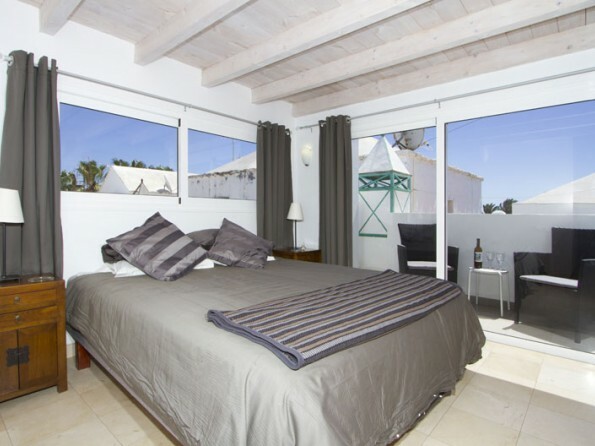 The villa has been furnished in a simple, modern style with light, airy rooms throughout. There is a spacious open-plan kitchen/diner which leads down to a lounge area, and there are also two bedrooms, one twin and one en-suite master. 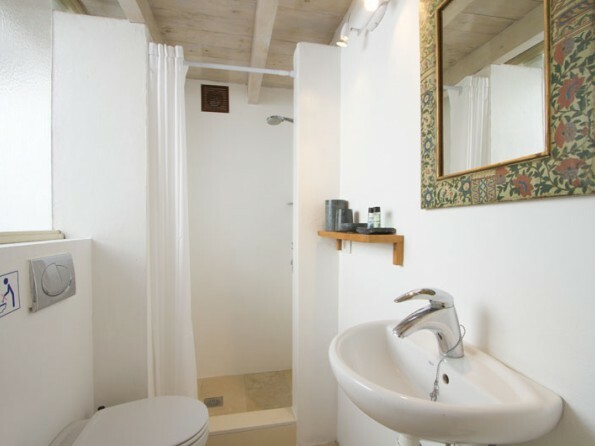 There is a large separate bathroom with corner bath and double sink, and there is also a utility room. The lounge opens out onto a wooden deck with a solar-heated plunge pool. 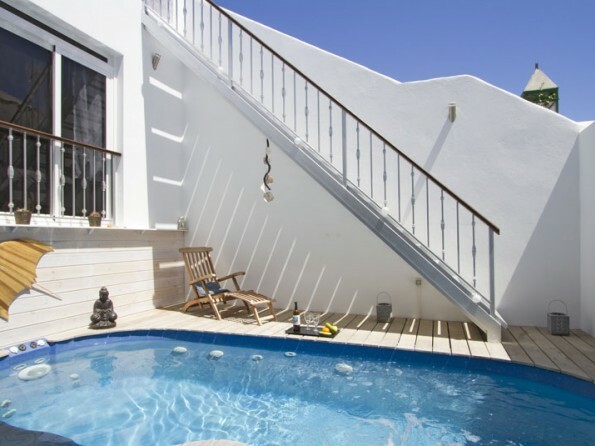 Stairs from here take you up to a walled roof terrace where there is a BBQ, an al fresco dining area and sun loungers from which to soak up the sun and enjoy the views. A deposit of 30% is required and the balance is due at least 1 month before your holiday is due to commence. Arrival time is 4pm and departure is 10am. A basic welcome pack is included. Sorry, no children. This villa is for adults only (18+).